Last week I was perusing the Facebook entrepreneur groups that I belong to, and fell upon a discussion that got me thinking. A friend of mine was asking for input on a day planner for 2016. She would like to purchase one from a local Canadian entrepreneur (of course, if you know of any please let me know!). Upon her asking this question, I realized how far I have fallen from the original plan of pen and paper, and into the world of smart phones and cyber-calendars to organize my life. I was raised on always having an agenda handy. In high-school we were trained to write down our homework that was due, and jot down notes about projects and the like. I continued with this ordinary run of things for years, right up into my adulthood. There were many a times that my trusty dog-eared agenda saved me from disastrous double-bookings and overlapping meetings. My agenda was was my safety net on many occasions, and I never left anywhere without it stuffed in my purse. And then came along The Palm Pilot, Blackberry and every other smartphone you can think of to take me off course.. Yes, I metamorphosed into a digital calendar queen – constantly updating my calendar on the go with dates, appointments and notes. Paper?! Who needs paper! Everything is instantly done for you, no erasing, incessant scribbling or white out needed. Even if your phone crashes, everything is stored for you online. It is a fabulous thing. But i will be the first one to tell you how much I miss the nifty bonded agenda that I used to carry around. I miss the tangible feeling of having everything available at my fingertips. 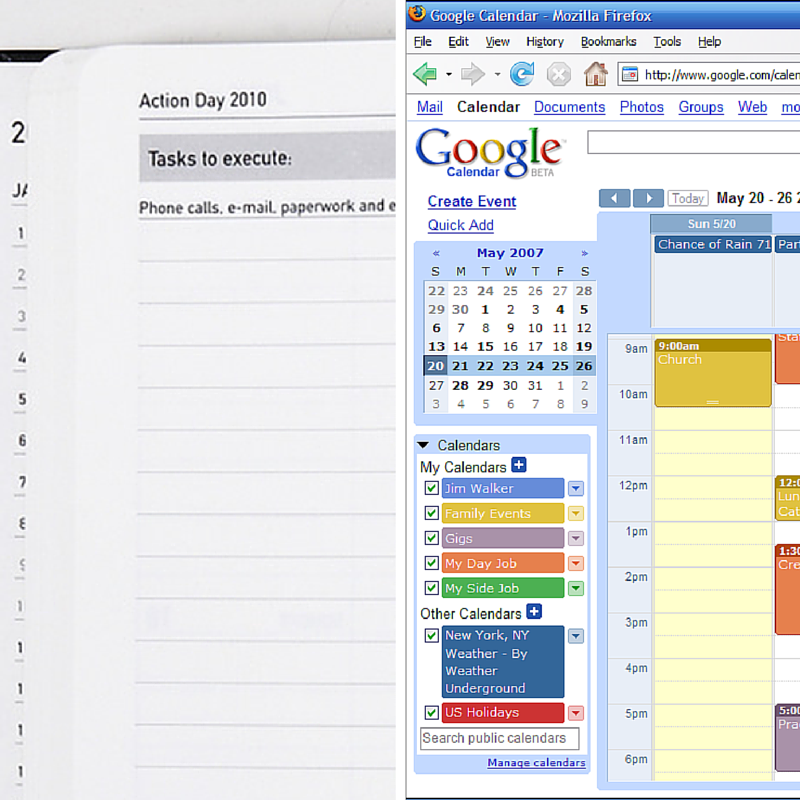 I`ve been in a jam many of times accompanied by a dead phone and no access to my calendar. Not to mention, I happen to have a pen fetish. What`s a pen fetish without a good agenda to scribble in? All of this came rushing back to me as I read my friends’ request in the group. Because of her, I am now on the hunt for a great 2016 agenda so that I can pick up where I left off – dog-ears and all. Now if I can only find my Indigo gift cards in time for Black Friday. Next Post What Does 2016 Have In Store for You?